I hope everyone had some fun great new years!! 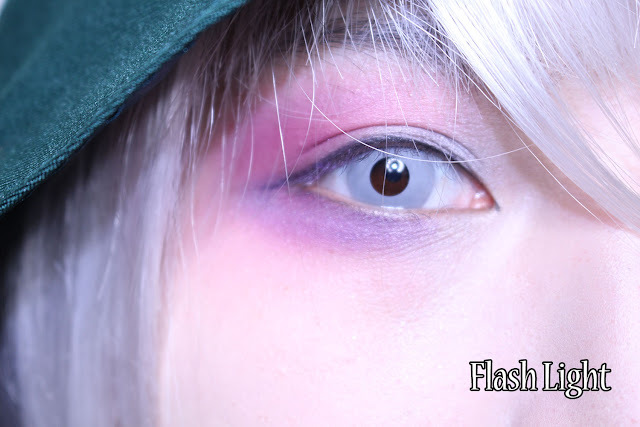 And kindly enough Lens Village sponsored me with two sets of crazy contact lenses, and let me give you guys some in depth review of this for those who are wanting to dress up as crazy zombie, vampire, or any spooky look!! Also for my followers and readers you can use coupon code "FJESSE15" to get 15% off on your purchase!! Package arrived within couple weeks since I've received my e-mail on my order being processed. I was pretty impressed on how the package was wrapped. As you can see in the photo lenses came in a plastic box and that box was actually packaged in a bag and bubble wraps. Which ensured the safety of the goods. I have never tried lenses that are bigger than 15mm in diameter. 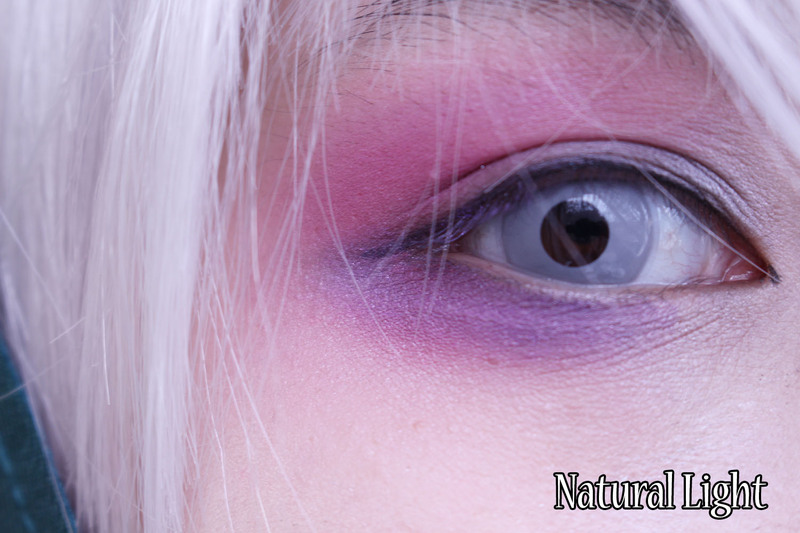 So it was quite interesting to see how big this little mini sclera lens is. I was little bit worried about on how to put it on, and actually it was quite easier than what I expected. 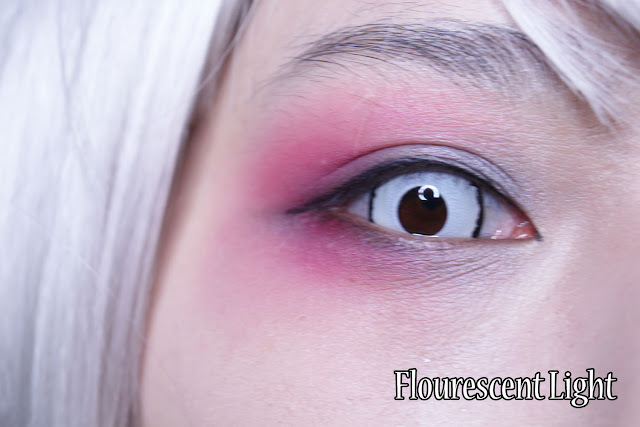 Comfort, For this particular lens I know that it is gonna be slightly uncomfortable, because it is larger than normal circle lenses or contact lenses. And I can't deny the fact that it was covering some of my vision when I'm trying to look the different way. As you can see in the photo, my glance seems little off in the pictures, cause they do have some hard time following my eye movement. It also probably has to do with the fact that my right eye is flat rather than being round. Color, Color is definitely vibrant. At first I thought it was going to have more of yellow tone to it, because that's what it appeared to be in the picture. But hey for the look I was going for, having completely white color base color with black rim around it made it look pretty freaky. I was trying to go for possessed British Loyalty look with bloodshot eyes. And did the colors paid off or what? 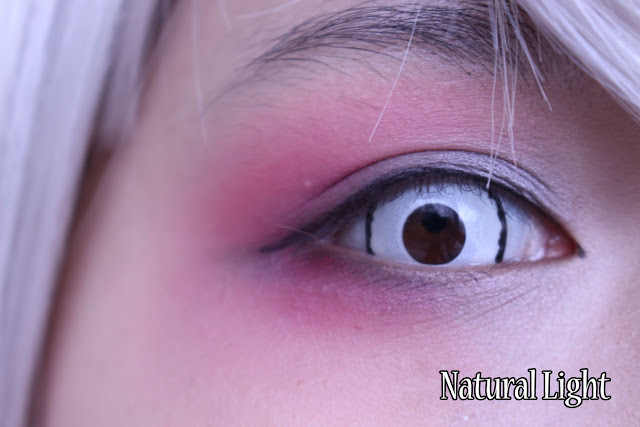 Design, It would be too much to ask for more defined design for mini sclera lens. But it does have slight wave rim to give more design to the lens. Enlargement, Mini sclera lens will definitely have huge enlargement because of its diameter. And since it has very defined black rim around it, so it will be more defined. There's lot of other crazy lenses that just has plain one color like this. So depending on what types of look you are wanting to go for, you can have fun with deciding which colors you will choose! Comfort, This lens compare to the other Colorvue lenses that I have tried, definitely felt thicker in material wise, therefore, there was slight discomfort in my eyes. But my eyes are very sensitive and my right eye itself is flatter than how it's supposed to be cause of my injury as childhood. 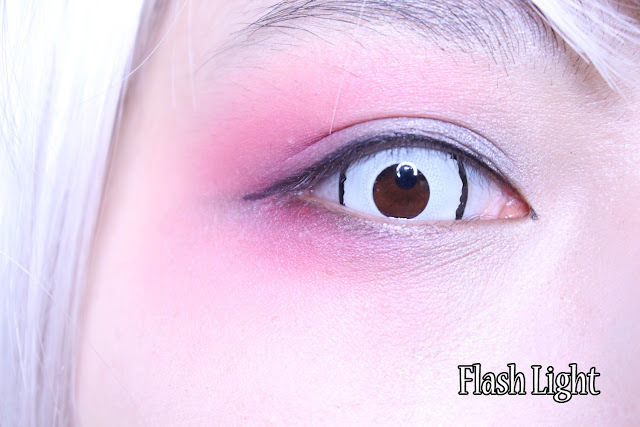 I don't think other people would have too much discomfort of wearing this lens for a long time. 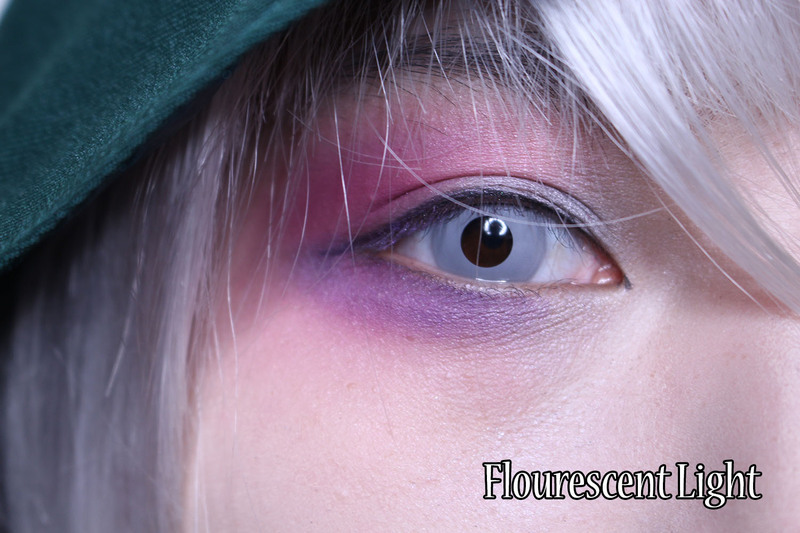 Color, Initially, I was afraid the color was gonna be very similar to the Venus Lens that I've tried on. However, when I actually tried it on and in the regular lighting situation, lens' color did not look too scary but rather more anime feel to it. Design, There's nothing too much into it when it comes to design, cause it is using solid gray color to create the look. But it is definitely suitable to create that soul-less appearance to it! However, there's slight disappointment which was that the pupil area felt too small for myself to actually be able to see through it. Enlargement, Since it is lack of black rim or any other coloring on the lens itself, it is hard to notice weather there is any enlargement in eyes or not. However, it does give the enlargement effect, it is just not too noticeable.